Play the world&apos;s most loved stick figure word guessing game- Hangman. You must Save Hangman from hanging on rope by finding the right word. 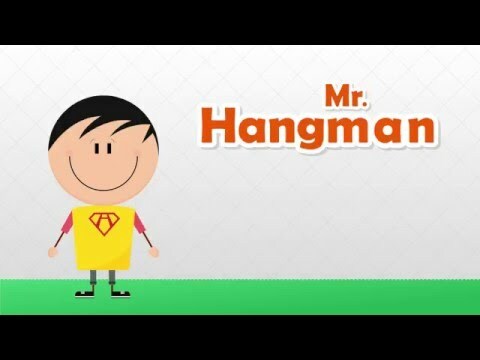 Answer some of the most mind-boggling questions in this fantastic game of Hangman.This Hangman has a huge collection of brain nibbling word puzzles about:... see more Play the world&apos;s most loved stick figure word guessing game- Hangman. You must Save Hangman from hanging on rope by finding the right word. Answer some of the most mind-boggling questions in this fantastic game of Hangman. Ohh!! and DO NOT play Hangman&apos;s RIDDLES category, especially if you can’t rest unless you find answer of these cryptic puzzles. Be prepared to be cheered and jeered if you win or lose. It’s an spectacle to see Hangman when you guess a word correctly or fail to guess the word or phrase. Select letter by tapping, but be careful you get only 9 wrong guesses per puzzle. But there are plenty of hints and helps to play. So go on save Hangman!! !